BEAV - BE Aerospace Inc.
LMIA - LMI Aerospace Inc.
AMR Corporation (AMR), which owns American Airlines, has flights all over North America, the Caribbean, Latin America, Europe, and Asia. The stock has a price to earnings ratio of 18, a price earnings to growth ratio of 0.41, and a price to sales ratio of 0.29. Continental Airlines, Inc. (CAL) , serves the United State, Europe, Canada, Mexico, Central America, South America, the Caribbean, Beijing, Delhi, Hong Kong, Tel Aviv, and Tokyo. It has a P/E of 8.9, a PEG of 0.58, and has a P/S of 0.25. Delta Air Lines Inc. [new shares] (DAL), which just came out of bankruptcy, has flights to 99 countries around the world. It has a forward P/E of 12.6, a PEG of 1.55, and has a P/S of 0.22. Northwest Airlines Corp. (NWA) , has hubs in Detroit, Minneapolis/St. Paul, Memphis, Tokyo, and Amsterdam. It serves 160 countries. It has a forward P/E of 10.2, a PEG of 1.36, and a P/S of 0.16. UAL Corporation (UAUA), owns United Air Lines, which has hubs in Los Angeles, San Francisco, Denver, Chicago, and Washington, D.C. It flies to 157 different countries. Its P/E is 53, with a PEG of 0.98, and a P/S of 0.23. U.S. Airways Group, Inc. (LCC) , has flights in the United States, Canada, the Caribbean, Latin America, and Europe. Its P/E is 9, the PEG is 1.25, and it has a P/S of 0.23. Trivia Question: What does the LCC stock ticker symbol stand for? AirTran Holdings Inc. (AAI) , serves the eastern United States, from its hub in Atlanta, Georgia. It has a P/E of 40, a PEG of 1, and a P/S of 0.53. Alaska Air Group Inc. (ALK), owns both Alaska Air, and Horizon Air. It serves Alaska, the western U.S., Canada, and Mexico. It has a P/E of 70, a PEG of 0.77, and a P/S of 0.34. Nevada and Orlando, Florida. It has a P/E of 50, a PEG of 1.34, and a P/S of 2.4. ExpressJet Holdings Inc. (XJT), owns Continental Express, and serves North America, Mexico, and the Caribbean. It has a P/E of 14.4, a PEG of 0.68, and a P/S of 0.19. U.S., Canada and Mexico. It has a forward P/E of 29, a PEG of 9.8 and a P/S of .18. Great Lakes Aviation Ltd. (GLUX.OB), serves nine states. It has a P/E of 2.02, and a P/S of 0.37. This is an extremely low capitalization stock, and should be considered extremely speculative. Hawaiian Holdings Inc. (HA), owns Hawaiian Airlines, with flights between Hawaii and California, Nevada, Oregon, Washington, Alaska, Australia, American Samoa, and Tahiti. Its earnings have been negative, and its P/S is 0.20. This is another very low cap stock that should also be considered extremely speculative. JetBlue Airways Corp. (JBLU), has flights to 21 states, Puerto Rico, Mexico, and the Caribbean. It has a high P/E of 221, a PEG of 3.67, and a P/S of 0.80. MAIR Holdings Inc. (MAIR), which owns Big Sky Transportation, has flights to Montana, Colorado, Idaho, Illinois, Oregon, Wyoming, and Wisconsin. Its earnings have been negative, and its P/S is 5.74. This is another low cap speculative stock. Mesa Air Group Inc. (MESA), flies throughout the United States, Canada, Mexico, and the Bahamas. Its P/E is 169, with a PEG of 1.2, and a P/S of 0.16. Midwest Air Group Inc. (MEH), has flights throughout the Midwest, and to Toronto, Canada. Its P/E is 16.5 and its P/s is 0.54. 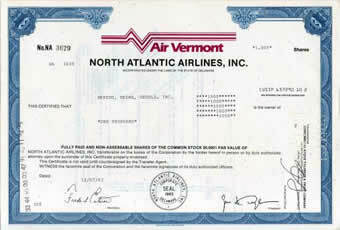 Pinnacle Airlines Corp. (PNCL), provides airline capacity to Northwest Airlines, Continental, United, and U.S. Airways. It has a P/E of 5.7, and a P/S of 0.52. Republic Airways Holdings Inc. (RJET) flies to destinations in the U.S., Canada, Mexico, and the U.S. Virgin Islands. It has a P/E of 11.3, a PEG of 0.78, and a P/S of 0.75. SkyWest Inc. (SKYW), is a Utah-based company which has flights to destinations in the United States, Canada, Mexico, and the Caribbean. It has a P/E of 11.9, a PEG of 0.86, and a P/S of 0.56. It even pays a small dividend of 0.4%. 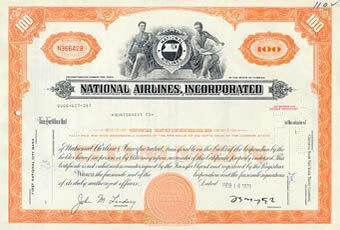 Southwest Airlines Co. (LUV), is the only other dividend-paying U.S. airline. It has a yield of 1%. The stock has been paying dividends since 1980. It has a P/E of 22.8, a PEG of 1.57, and a P/S of 1.25.